The second pair of test sessions were again split LMPs ahead of GTs, 90 minutes per session. 12 cars ran in the LMP session, the #4 ARC Bratislava Ginetta again the spare car as the team worked to change gear ratios after a last minute regulation change it seems. 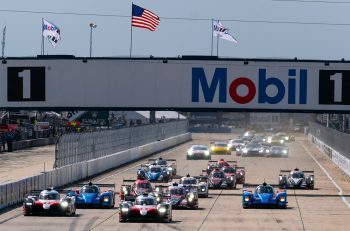 Both the #8 Race Performance Oreca and #25 Algarve Pro Ligier Nissan completed an out/ in lap only, the latter effectively as a shakedown after the team’s earlier Customs woes left them chasing the clock all day today. There were a trio of LMP3s in trouble during the session, the #99 WinEurasia Ligier JSP3 off into the gravel and bringing out a brief Red Flag with William Lok towed back to Parc Ferme but the car back out after a clean up. The #48 PS Racing Adess had a lurid half spin at high speed out of the final turn and ended up kissing the tyre barrier on the inside just before the pit wall, the car essentially undamaged apart from a set of rooted Michelins and some no doubt soiled overalls. And the #26 Tockwith Ligier was left with a broken gearbox post session, a spare is available and the car will be back tomorrow. The #69 CN class Ligier was still undergoing a rebuild and clean up, the earlier issue was a broken heat exchanger which failed coating everything with copious quantities of oil and water emulsion. 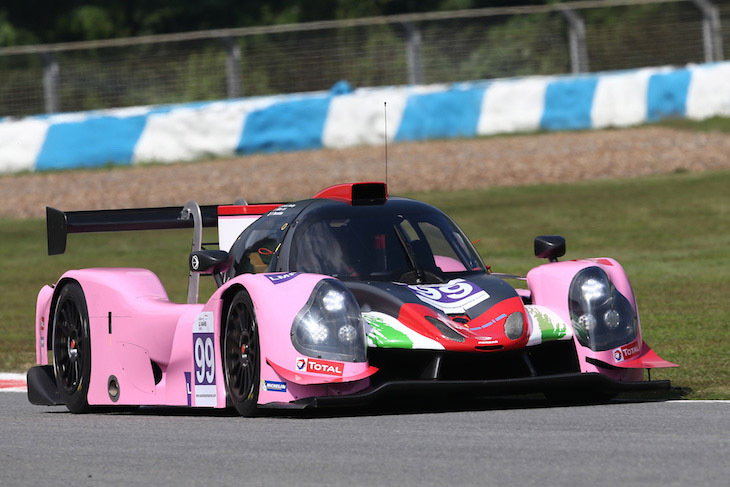 That spoiled the day for the Yorkshire based team that saw them end on top of the LMP3 order, third fastest overall with a 1:32.236, The #99 WinEurasia car second fastest a tenth and a half back, these two spoiling the early session headlines for Ginetta that saw a pair of G57 P3s tope the times for much of the session with the #69 Aylezo Ecotint Racing car and #67 PRT G57 both in the 1:32.6s, the top four split by less than four tenths. 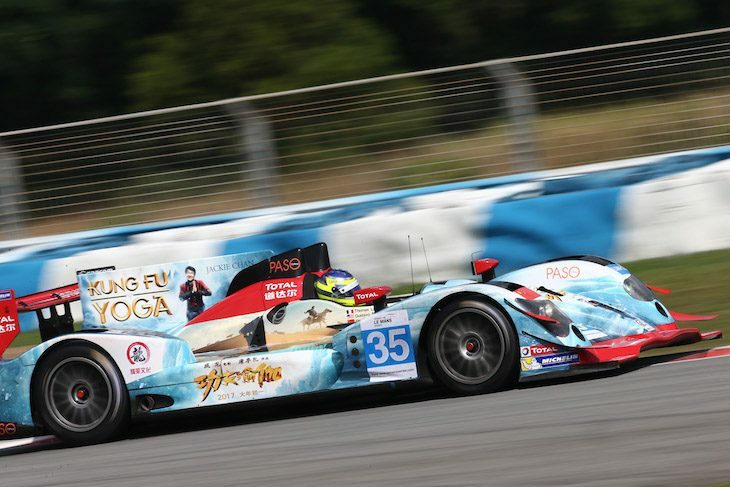 LMP2 saw the #24 Algarve Pro Ligier Judd out for the whole session and it was the two full session P2s that topped the times with the #35 Jackie Chan DC Racing Oreca again fastest, 1:29.350 just a tenth off the best race lap set here by much the same package back in 2011, and the circuit is, we are told, a lot bumpier nowadays. The Ligier meanwhile finished the session with a 1:30.791. 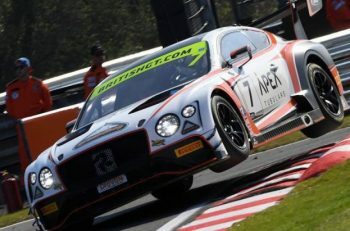 The GT Session saw 12 of the 14 runners on track, no dramas for the missing pair, the #2 Audi’s drivers know the circuit and the car well and arrive this evening. The #86 OD Racing McLaren 650S GT3 also opted out of the second session. 2.1 seconds separated the best efforts for the other 12 with the top nine separated by less than a single second. After the first session was dominated at the top of timing by Ferrari session two saw the 488s again running fast. 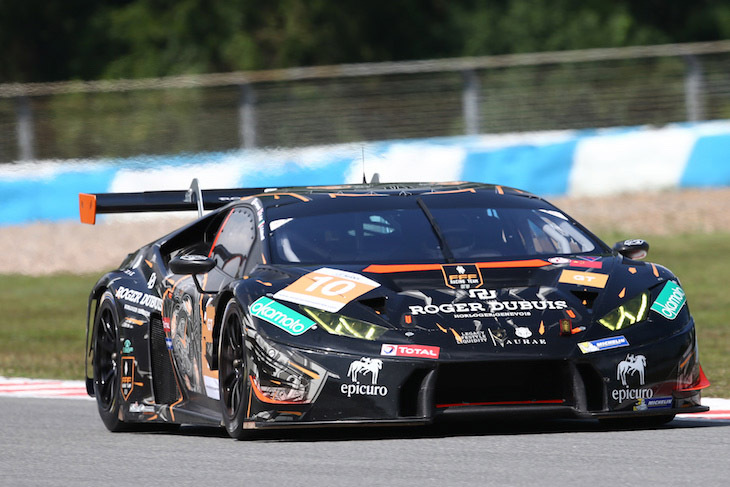 They did not though top the times as the #10 FFF Racing Lamborghini finished the session fastest with a 1:34.165, almost 4 tenths up on the #37 Team BBT Ferrari with Team AAI’s #91 McLaren in close company, third fastest with a last lap effort, AAI’s #90 BMW M6 GT3 fifth fastest behind the #38 Spirit of Race Ferrari. Tomorrow sees two Free Practice sessions of 90 minutes apiece at 8 am and 12:30 respectively with Qualifying seeing 2 x 15 minute sessions split between the Prototypes and GTs from 17:00 local time.